As part of the city’s Office of Resilience and Community Services, RSVP connects persons age 55 and over with their choice of some 60 public service and non-profit locations, including American Red Cross, Senior Nutrition Centers, Dare to Care, Community Ministries and the Robley Rex VA Medical Center. RSVP members will be joined by volunteer site representatives, Senior Corps Advisory Council members and RCS staff. 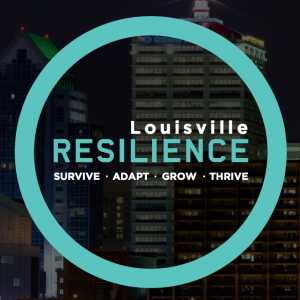 Mayor Greg Fischer will serve as the keynote speaker followed by congratulatory remarks from Gena Redmon-Harris, director of Resilience and Community Services. The Rev. Ron Loughry, Executive Director of Fern Creek/Highview United Ministries, and winner of the 2015 ElderServe’s “Champion for Aging” is serving as the master of ceremonies for the third year in a row. He will also be recognized for his years of service to RSVP and the community as a whole as he will be retiring at the end of this year. During this year’s celebration, 41 RSVP volunteers who reached their dedicated, volunteer service milestones of five to 30 years will receive special recognition. Also featured will be a VA Salute and Recognition to acknowledge all veterans who serve as RSVPs. One special honoree, Guy Dorsey, a World War II veteran, is being recognized for 25 years of volunteerism in the community and has some 30 family members from all over the United States coming to be with him for the event. In addition, following the buffet meal and speaker presentations, the volunteers will enjoy full access to Churchill Downs and a day at the races. “RSVP volunteers generously give their energy, skills and caring dedication toward providing over 75,000 hours annually resulting in more than $1.5 million in savings/service impact for their agencies. This celebration is their public ‘thank you’. Everyone is a millionaire with RSVP.” said RSVP Program Coordinator, Christopher Clements. RSVP is federally sponsored by the Corporation for National and Community Service (CNCS), and this year’s event sponsors include Passport Health Plan, ResCare, and AARP. For more information on RSVP activities or to learn how to become a volunteer, call (502) 574-1530 or visit https://louisvilleky.gov/government/resilience-and-community-services/retired-and-senior-volunteer-program-rsvp.